The Kamari Beach Hotel is a modern, family run holiday complex that sits right on Lardos Beach in a pretty, tranquil and unspoilt spot on the edge of the Mediterranean. 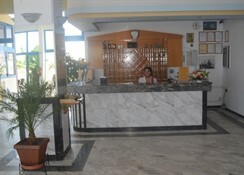 Kamari Beach consists of a main building and several bungalows set in delightful landscaped gardens. The facilities are perfect for a traditional family holiday and offer great value for money. 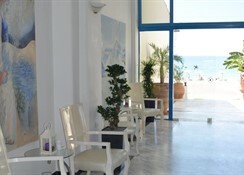 If you want to kick back and rest your body and soul, Kamari Beach Hotel Rhodes is just the place for you! Local tips: There are quiet walks along the country lanes lined with olive groves to enjoy or, you can simply relax on the beach and cool off in the crystal clear blue waters. 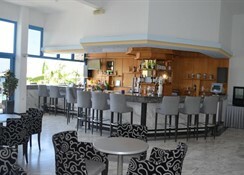 Food, drink and entertainment: A la Carte beach Taverna with an open-air terrace, a pool bar and a TV and reading room. 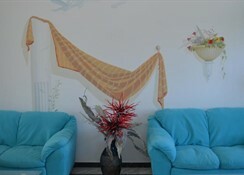 Sport, games and activities: Large swimming pool, 5 x 5 sand football pitch, and beach volleyball. Next to the hotel, you can find shops, restaurants and on the next beach, water sports. For the kids: Children's playground and swimming pool. Additional: Reception, housekeeping and a mini market. 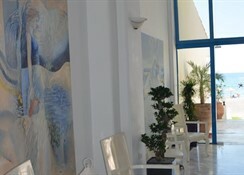 The Kamari Beach Hotel complex consists of 130 guest rooms within a main building, eight sets of bungalows and the annexe. Each guest room is complete with a private bathroom with a shower, a fabulous large balcony or terrace, a telephone, satellite TV, and air-conditioning which is available July and August (outside this time with extra charge).